Dr. Ashley grew up in a military family that settled in Schertz, Texas. She obtained her Bachelors in Exercise Science from the University of Texas at Austin where she played on the UT Women’s Club volleyball team. 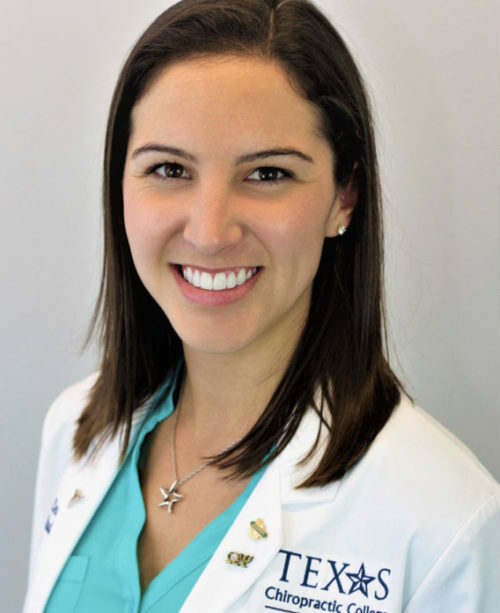 From there she moved to Houston and attended Texas Chiropractic College, where she earned her Doctor of Chiropractic degree and graduated salutatorian of her class. 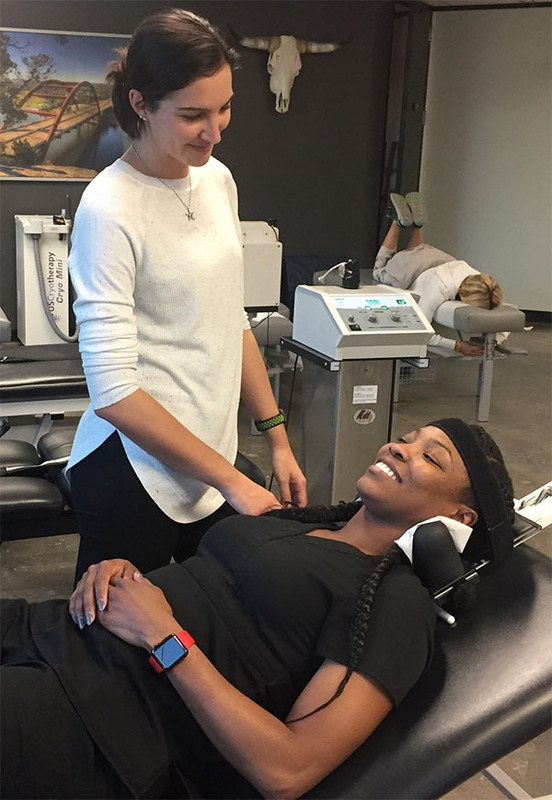 Dr. Ashley completed 100 hours of acupuncture training from Texas Chiropractic College. 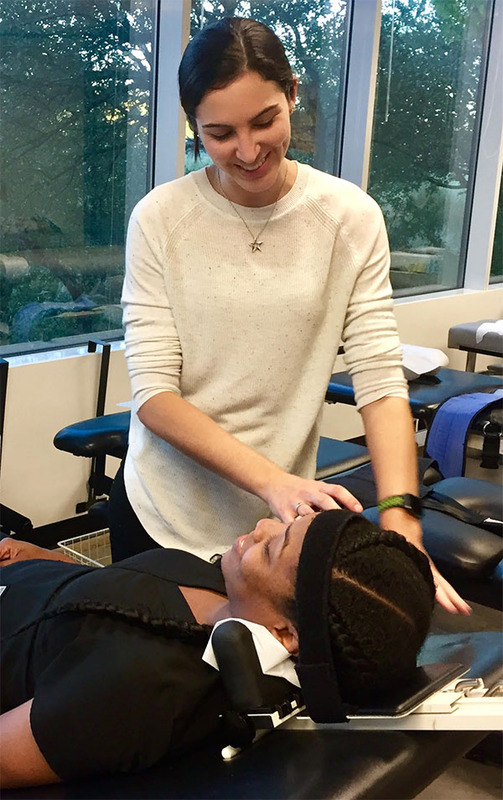 She has a certification in FAKTR (Functional and Kinetic Treatment with Rehab), and has experience with various taping techniques, Mulligan technique, and instrument assisted adjusting. In her free time, Dr. Ashley lives an active lifestyle; whether its camping, hiking local trails, or playing sand volleyball, she enjoys being in the outdoors. 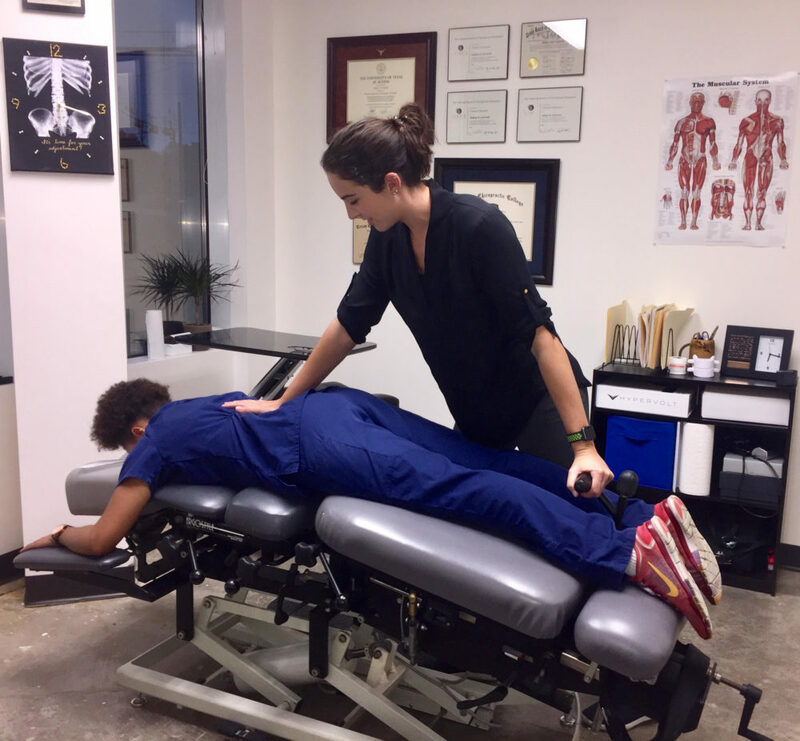 Dr. Ashley performing flexion distraction on a patient to relieve low back pain. 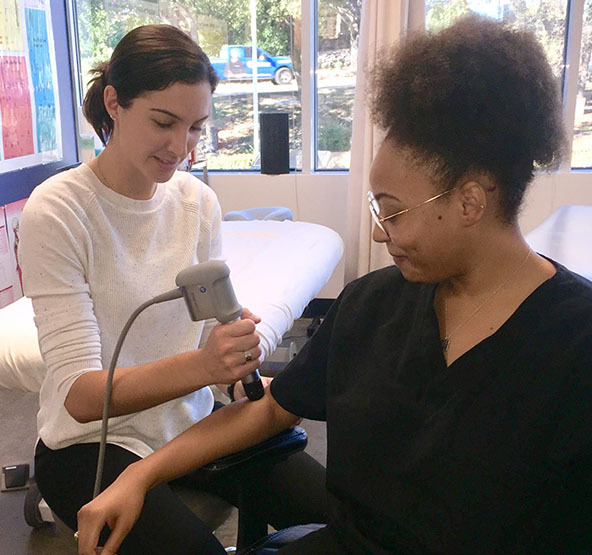 Dr. Ashley uses EPAT (shockwave therapy) to treat an elbow. Dr. Ashley discussing the benefits of neck decompression with a patient. 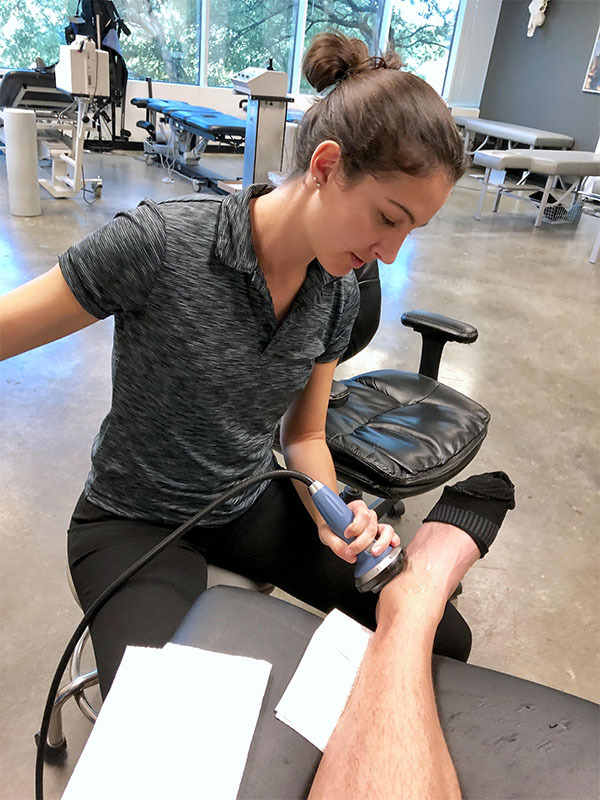 Dr. Ashley uses Acoustic Compression Therapy (ACT) to treat an ankle injury. Dr. Ashley assuring neck stabilization and alignment before beginning neck decompression.